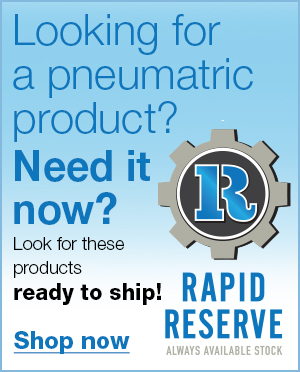 From proof of concept to final product... when it comes to Pneumatics and Pneumatic Systems, RG GROUP can handle it all. You may know RG Group for hydraulics. We get that. But, when it comes to fluid power, the principles of pneumatics and hydraulics are similar. The main difference… pneumatics transmit power using gas (usually compressed air) instead of a liquid. From a single quality component to a complex industrial pneumatic system, we are the single source solution for today’s demanding and creative industrial pneumatic applications. We provide motion and control technical expertise and cost reduction strategies, with a focus on energy efficiency. Watch a tutorial below on Parker Hannifin's Virtual Engineer online software! Sizing your Actuator just got EASIER! Meet Your Virtual Engineer… an online sizing and selection tool created to simplify collaboration, reduce design time and ensure optimal solutions. Virtual Engineer is a new tool where users can easily enter application specifications (ex. speed, load, external forces) and quickly navigate to accurately sized product options. Features include: Product life estimation, “Compare” function for multiple products (including price), CAD model availability, and a “My Projects” area, allowing engineers to create, save, and share projects to revisit at a later time. Pete has worked in the pneumatics/industrial automation industry for 21 years. He is an IFPS (International Fluid Power Society) certified pneumatic specialist and is an integral part of the RG Group team. From components to full solutions, at RG Group we work with the best in the industry and stay focused on safety. Find out more about our Pneumatic Machine Safety Training presented together with our partners at Parker Hannifin. Sign up here if you would like more information or to learn more about when our next session is scheduled. 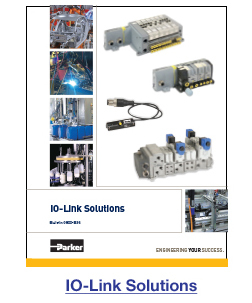 Supported by Parker Hannifin products, we offer IO-Link solutions for valve products as well as CPS (Continuous Position Sensing) Sensors to make your factory floor even smarter. IO-Link (IEC61131-9) is an open standard communication protocol that allows for the bi-directional exchange of data from sensors and devices that support IO-Link and are connected to a master. 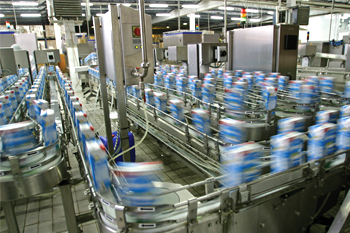 The IO-Link communication standard is quickly expanding within the Factory Automation market space as a low-cost method of connecting I/O on the network. Overall IO-Link is the most cost-efficient way to connect valve manifolds and obtain diagnostic and prognostic data. IO-Link offers easy installation, troubleshooting, and maintenance. Learn more about our IO-Link Solutions, download the PDF on the left. Download these informative white papers and guides.